Crackle “Faerie” Quartz is crystal quartz that is tumbled and dyed, which gives the gems their colors, crackle and spark! They represent the energies of both the fire and water element. Quartz is the ultimate power stone. This master crystal resonated with our own bodies and has great influence over us. The addition of the color adds another layer of intrigue and mystery, believed to attract the fey of the woods, wells and highlands. Quartz harmonizes and balances. 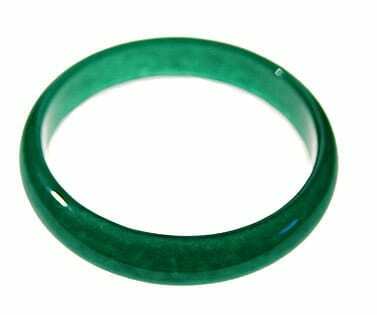 It enhances energy and thoughts, and purifies the spiritual, mental and physical body. 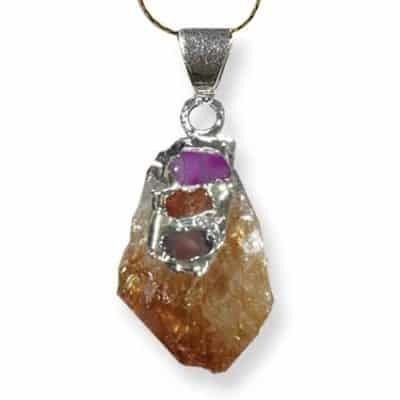 It is also a powerfully protective stone, allowing purified light and energy within…. Crackle “Faerie” Quartz is crystal quartz that is tumbled and dyed, which gives the gems their colors, crackle and spark! They represent the energies of both the fire and water element. Quartz is the ultimate power stone. This master crystal resonated with our own bodies and has great influence over us. The addition of the color adds another layer of intrigue and mystery, believed to attract the fey of the woods, wells and highlands. Quartz harmonizes and balances. It enhances energy and thoughts, and purifies the spiritual, mental and physical body. 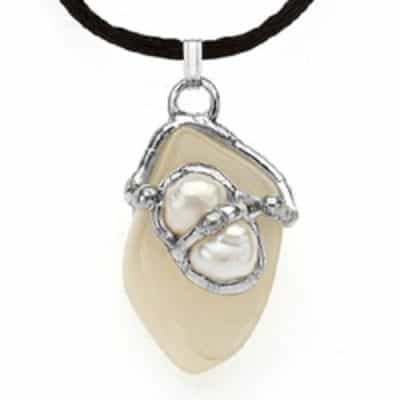 It is also a powerfully protective stone, allowing purified light and energy within. 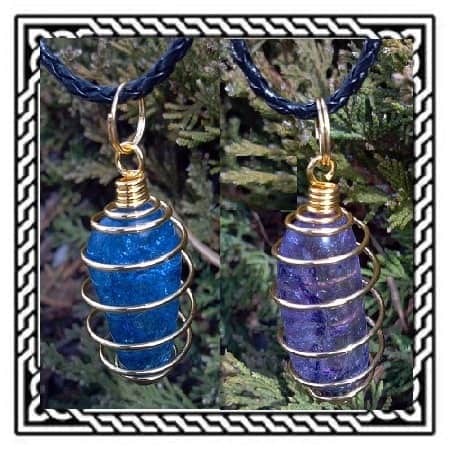 We have “caged these fairy stones” in a spiral collapsible pendant. They are complimented with a braided black leather necklace with claw clasp. 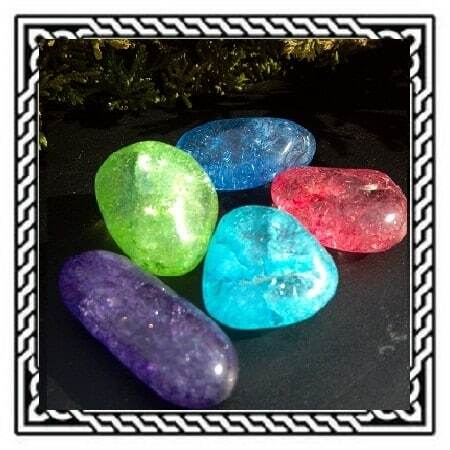 You are able to interchange different colored fairy stones, depending on your whim or fancy! Each fairy stone is approximately 1 – 1 1/4 inches. 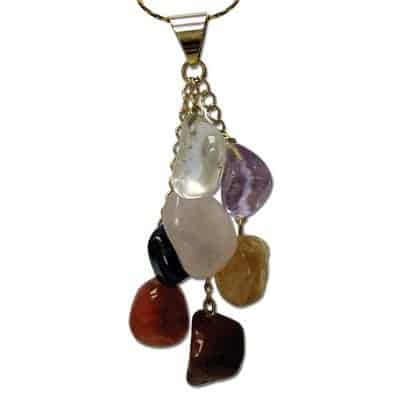 Each pendant comes with the history and story of the fairy crystal, how to work with and cleanse this stone and a beautiful color coordinated pouch for storage. This pendant comes with (2) two interchangeable stones.